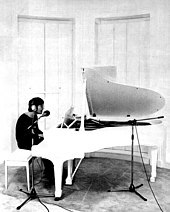 Eager for a major commercial success, Lennon adopted a more accessible sound for his next album, Imagine (1971). 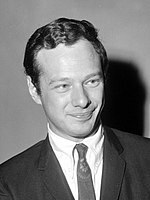 Rolling Stone reported that "it contains a substantial portion of good music" but warned of the possibility that "his posturings will soon seem not merely dull but irrelevant". The album's title track later became an anthem for anti-war movements, while the song "How Do You Sleep?" 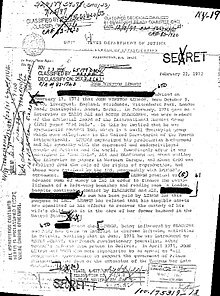 was a musical attack on McCartney in response to lyrics on Ram that Lennon felt, and McCartney later confirmed, were directed at him and Ono. 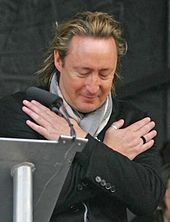 [nb 3] Lennon reflected on his jealous nature in the track "Jealous Guy", later immortalized by Roxy Music's chart-topping 1981 cover following Lennon's murder. 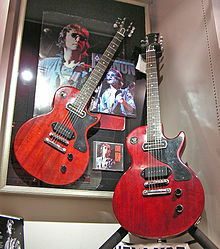 In gratitude for his guitar contributions to Imagine, Lennon initially agreed to perform at Harrison's Concert for Bangladesh benefit shows in New York. 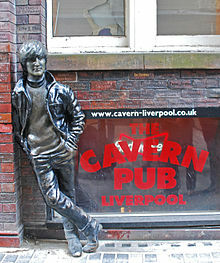 Harrison refused to allow Ono to participate at the concerts, however, which resulted in the couple having a heated argument and Lennon pulling out of the event. Two years before the Beatles disbanded, Lennon and Ono began public protests against the Vietnam War. 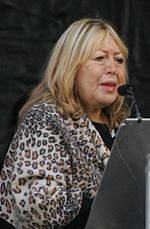 They were married in Gibraltar on 20 March 1969, and spent their honeymoon at the Hilton Amsterdam, campaigning with a week-long Bed-In for Peace. They planned another Bed-In in the United States, but were denied entry, so held one instead at the Queen Elizabeth Hotel in Montreal, where they recorded "Give Peace a Chance". They often combined advocacy with performance art, as in their "Bagism", first introduced during a Vienna press conference. 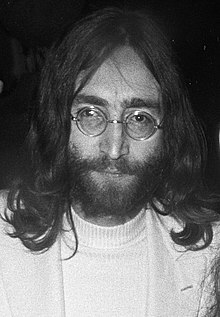 Lennon detailed this period in the Beatles song "The Ballad of John and Yoko". Lennon changed his name by deed poll on 22 April 1969, adding "Ono" as a middle name. The brief ceremony took place on the roof of the Apple Corps building, where the Beatles had performed their rooftop concert three months earlier. 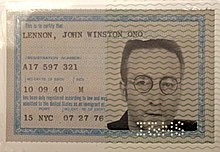 Although he used the name John Ono Lennon thereafter, official documents referred to him as John Winston Ono Lennon, since he was not permitted to revoke a name given at birth. The couple settled at Tittenhurst Park at Sunninghill in Berkshire. 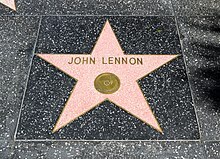 After Ono was injured in a car accident, Lennon arranged for a king-size bed to be brought to the recording studio as he worked on the Beatles' last album, Abbey Road. 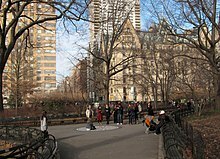 Ono and Lennon moved to New York, to a flat on Bank Street, Greenwich Village. Looking for somewhere with better security, they relocated in 1973 to the more secure Dakota overlooking Central Park at 1 West 72nd Street. ^ a b Harry 2000b, p. 411. ^ Wiener 1990, pp. 39–40. ^ Wiener 1990, p. 60. ^ "Sharing the Dakota With John Lennon". NYTimes.com. 6 December 2010. Retrieved 19 April 2019.